PMP is one of the few companies with both Confined Space and Rope Access trained personnel in-house. AMEX-10 is our pipeline leakage repair product. It can be used in pipelines of any diameter where safe man-access can be achieved and is widely used in both pressurised and non-pressurised pipelines. 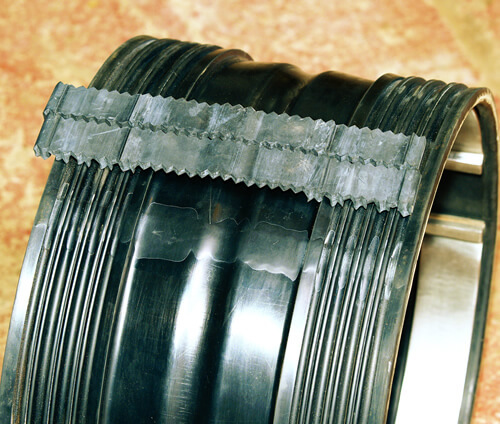 AMEX-10 seals have been used in pipelines up to 25 bar. PMP has installed AMEX-10 seals in pipelines on steep gradients and in vertical pipes. AMEX-10 is the best method for achieving a permanent seal at the ends of Cured In Place Pipe linings (CIPP). AMEX-10 seals have been installed exclusively by PMP for over 20 years in pipelines for the water, electricity generation, gas and process industries. The AMEX-10 is a flexible, mechanical seal which does not suffer from the shortcomings of traditional chemical sealants and grouts.